The U.S. Chamber of Commerce yesterday released an analysis showing the state-by-state impact of retaliatory tariffs from China, the European Union, Mexico, and Canada, which have been imposed in response to new U.S. tariffs on imported goods. The California Chamber of Commerce is concerned over the impact that U.S.-imposed tariffs could have on international trade and the state’s economy. Raising tariffs will have adverse consequences and fails to consider the impact on our allies and trading partners. 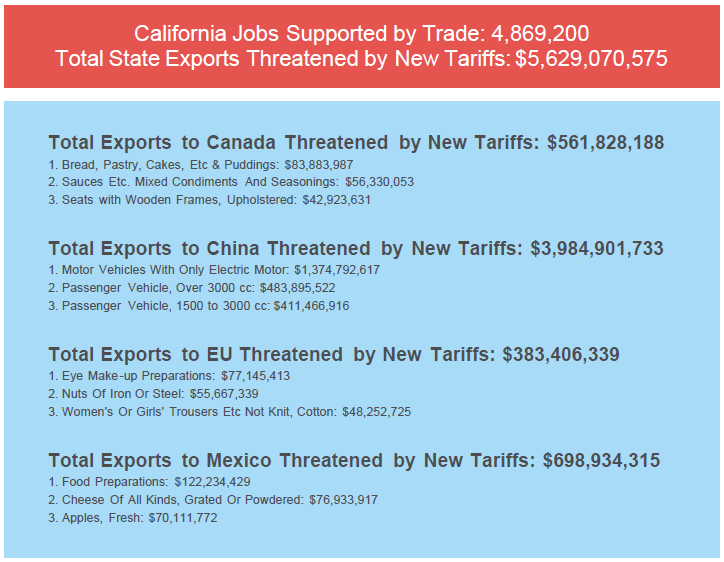 The analysis was compiled using data on state exports from the U.S. Department of Commerce and data on U.S. exports subject to foreign tariffs from the official government sources of China, the EU, Mexico, and Canada. Although trade is a nationally determined policy issue, its impact on California is immense. California exports to more than 225 foreign markets. Raising tariffs can result in higher prices to the consumer for the specific product protected and in limited choices of products for consumers. Further, it can cause a net loss of jobs in related industries, retaliation by U.S. and California trading partners, and violates the spirit of our trade agreements. $562 million in California exports to Canada are targeted for retaliation. $699 million in California exports to Mexico are targeted for retaliation. $4 billion in California exports to China are targeted for retaliation. $383 million in California exports to the EU are targeted for retaliation. The CalChamber continues to pursue a free trade-based agenda in 2018. 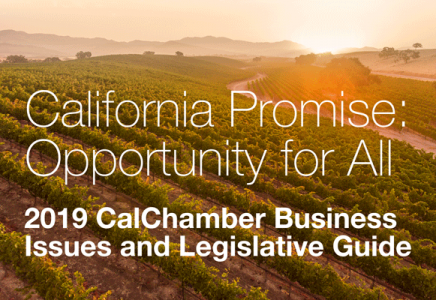 CalChamber has long supported free trade worldwide, expansion of international trade and investment, fair and equitable market access for California products abroad, and elimination of disincentives that impede the international competitiveness of California business. Trade offers the opportunity to expand the role of California’s exports. In its broadest terms, trade can literally feed the world and raise the living standards of those around us. The analysis is available online at www.thewrongapproach.com. State-specific fact sheets are available for download, as is the full U.S. data set.